What’s great about having a blog are the suggestions I get from others, especially from other Foodies – our eyes go wide and our talk gets accelerated (at least this is what happens to me when I start gabbing about food). 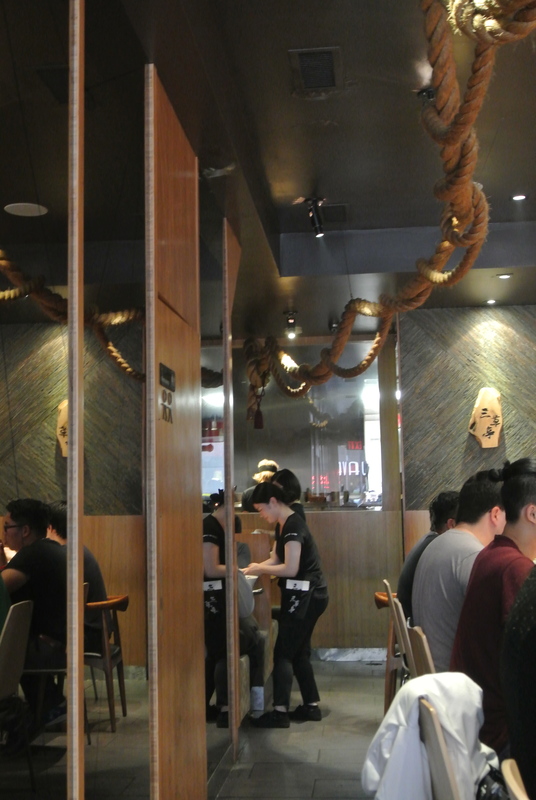 Sansotei Ramen was a place recommended by my fellow dragon boat teammate (M) who is a foodie like me. Just like cupcakes, burgers and donuts, authentic japanese ramen noodle houses seem to be popping up in every neighbourhood across the city. When I lived in Japan, I would eat ramen at least once a week and growing up, it would be the dried Sapporo Ichiban Ramen noodle packages. So you can imagine my excitement when these noodle shops started opening in Toronto – finally, fresh, hot and flavourful ramen. At Sansotei, I ordered the original Tonkotsu ramen which is ramen noodles served in a pork bone broth (the key in any ramen dish), slices of pork belly, a boiled egg, green onion and black fungus. I’ve never really had black fungus (kind of mushroom) but it was delicious in the salty broth. 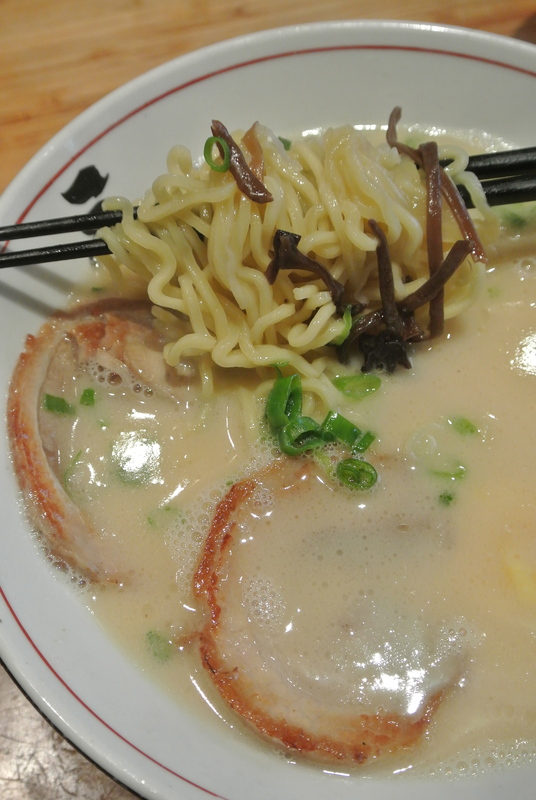 All in all, it was a great bowl of ramen – perfectly al dente noodles and fatty meat – YUM! 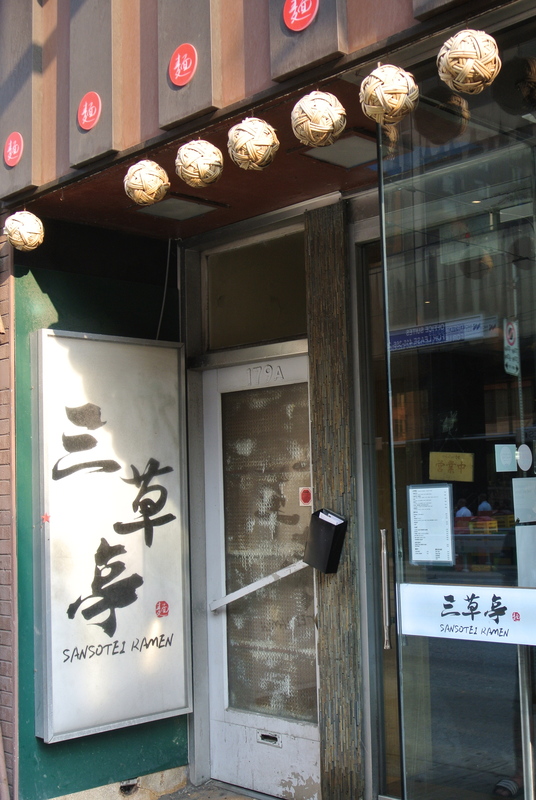 Sansotei Ramen located on Dundas St. W.
Inside the tiny ramen shop. 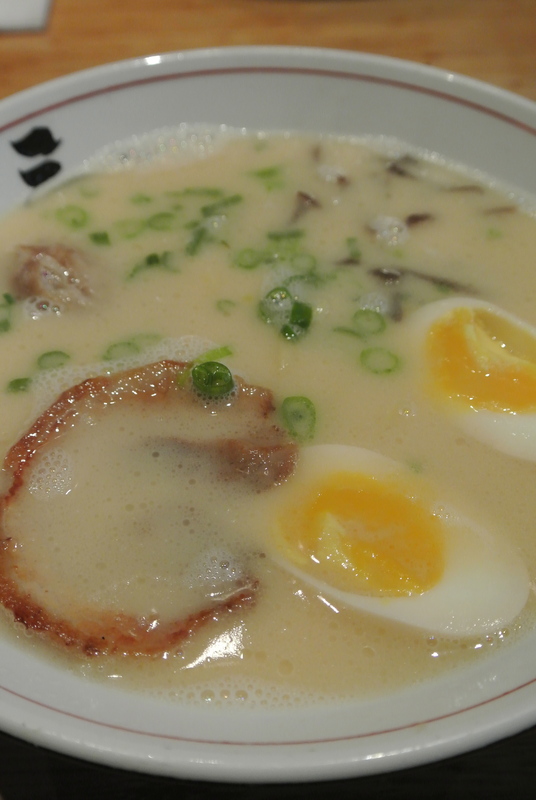 Tonkotsu ramen – made with pork bone broth. 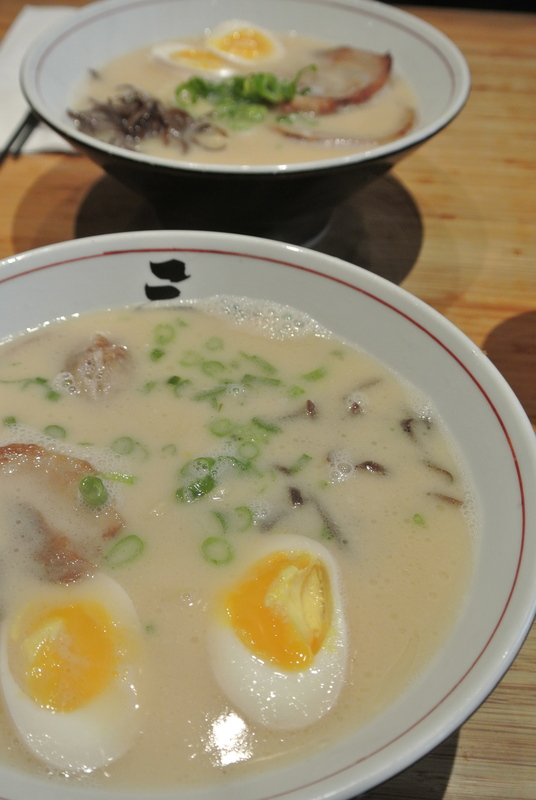 The original tonkotsu is a pork bone broth served with egg, green onion and black fungus. Here you have a choice of noodle, thick or thin. 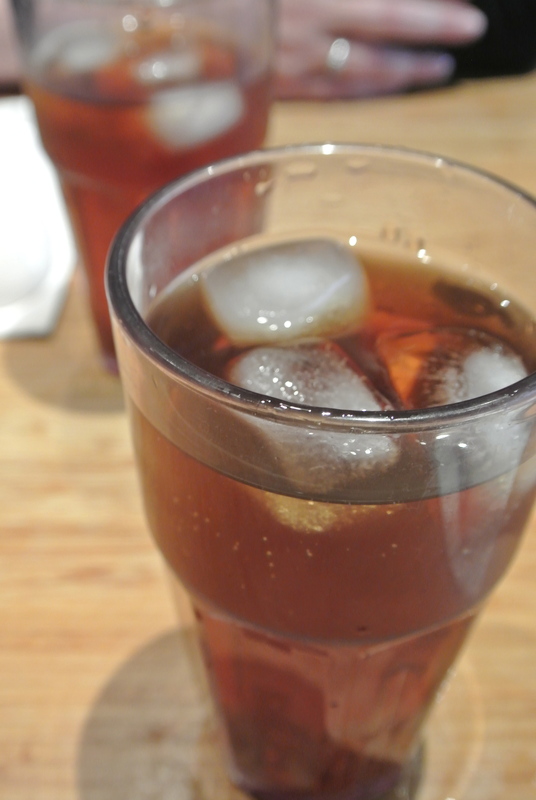 I went with thick.